As more and more consumers click for services and borrow rather than buy, the sharing economy is benefitting. According to Harvard Business Review, the sharing or on-demand economy is attracting more than 22.4 million consumers and $57.6 billion in spending each year, and these numbers are predicted to continue to rise. PwC estimates that the on-demand economy will reach $335 billion by 2025. The sharing economy—also sometimes called the gig economy, peer-to-peer economy and on-demand economy—refers to businesses offering goods and services through mobile apps and other digital platforms that quickly match demand and supply. Owners of personal property and businesses make money by allowing strangers to share their cars, homes, boats, tools or other properties, or by offering them convenient transportation, delivery, repair or other services. The platforms offer the ability to conduct trades anytime and anywhere from smartphones. Ammar, a partner with Unionville, Conn.-based Y-Risk, a managing general underwriter for on-demand companies, sees startups offering countless services. “Companies recognize the need for ‘ease,’ and they are creating on-demand services for everything…on-demand grocery delivery, on-demand ride sharing, on-demand home sharing…There are hundreds and hundreds of companies trying to create ease in the market,” he told Insurance Journal. As the sharing economy has moved ahead, the insurance market has been trying to keep pace. While on-demand and sharing economy offerings are diverse with many options, it’s not always easy finding insurance options for the customers or owners of these startups that specialize in making business easy, say brokers who serve the market. Their insurance choices are often limited and costly. Launched in 2016, Y-Risk’s founders set out to solve “a massive gap” in the insurance world for on-demand and sharing economy risks. “What I mean by that is, ultimately, how can we craft insurance coverage and tailor insurance pricing for these new models?” said Ammar. Insurance broker Andrea E. Ward sees as many as 10 new submissions in any given week for sharing economy businesses. “An example is an app designed for people who don’t have a regular landscaper but don’t want to cut their grass, say this weekend. So, consumers can go on to an app and find someone [to cut their grass],” said Ward, who as assistant vice president for CRC Insurance specializes in finding coverage for new ventures in the on-demand and sharing economy space. Another example of people willing to pay to make their lives easier: workout clothes delivery. “I have one client right now — say you forgot your gym clothes and you went to work. You trigger an app, they drop off a duffle bag with your size clothing, your size shoes. You wear it, put it back in the bag and trigger the app again. Then someone picks it up and cleans it,” Ward said. Coverage for hired, non-owned auto is an area that can be challenging, Ammar added. “We recognize that on-demand delivery companies, or a transportation network company, car subscription models, amongst others, they all need tailored auto insurance,” he said. While it’s a traditional line of coverage, underwriters must think about auto for these on-demand models differently. “We’re able to modify the coverage periods where we’ll say, ‘OK, you’re on risk from the start of this rental to the end of this rental. The moment you turn it in, there’s no more coverage,'” he said. The coverage must be tailored to the on-demand provider. Insurance for these new ventures is not always easy to find. Specialty underwriting shops focusing on on-demand and sharing economy risks are helping the market develop. 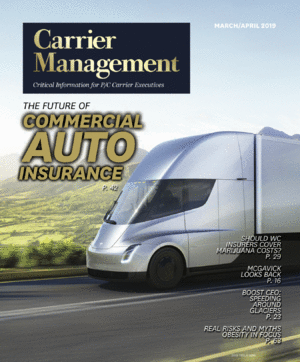 “Right now, it’s definitely a challenge to find carriers who understand risk, understand what the expectations and the needs are of these types of clients,” says Justin Kozak, senior account executive with Founder Shield, a retail insurance brokerage with a focus on the on-demand and shared economy markets. But the markets are out there, he added. “They are looking to kind of dive in and get ahead of the game as these industries are emerging,” he said. He estimates there are five to 10 good markets interested in the shared economy. Specialty MGAs or underwriting shops, mostly surplus lines, are the ones innovating in products. For now, the agents, brokers and underwriters playing in this market are all niche, he said. “For example, you might have a need for workers comp for independent contractors, and there’s a specific market that we might be able to reach out to who’s interested in specifically that,” he said. There is also demand for host insurance coverages for Airbnb-style type of companies. Kozak said he has specialty markets that are working with his firm to “custom-craft policies” to meet these clients’ exact needs. Insuring these startups and new risks is not cheap, and “sticker shock” is sometimes a barrier to getting them the coverages they need. CRC’s Ward said minimum premiums start high, ranging from plus or minus $25,000 for general liability and $75,000 for transportation network companies, which can price some insureds out of the market before they even start. Kozak said the rates are high right now with these emerging industries because not much data is available and claims are an unknown. He finds markets that offer flexible payment options can help overcome “sticker shock.” Other helpful markets are offering pay-by-the unit options, such as in the on-demand scooter space. “Some markets might be willing to price per scooter. As you add more scooters to your platform, we can add more premium as we go. We can price it per-ride or per-mile for a rideshare platform,” he said. Options and flexibility — similar to what the startups promise — are what specialist brokers search for also. “Ultimately, at the end of the day, we still like to give looks to the markets who are interested in the space,” Kozak said. Relationships — those between a broker and markets — are key. “Trust is a huge thing. These are huge risks. These markets, MGAs, underwriting shops who are trying to dive in and get aggressive, they need to trust us,” Kozak added. *This story ran previously in our sister publication Insurance Journal.